All of these are my April SVG releases! Below you will see all my preview pictures for my new products! Over the next five days, I will show you what I, and the Doodle Pantry Creative Team, have been creating with them! will be emailed the complete set of my SVG Releases for April! The winner will be announced on Monday the 7th! This little wagon is perfect for holding cards, candies and gifts! 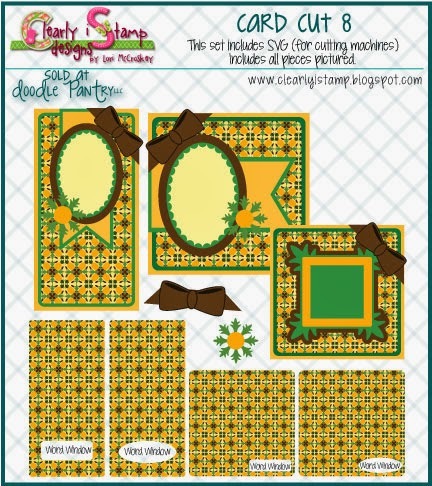 Pair it with Doodle Pantry's Wagon Digital sets and you have an adorable gift set! Digital images not included with SVG set. Go to Wagon SVG Cut here! My teen girls are going crazy over these scrap cuts! All they have to do is trim their photos and papers to fit in the openings, and they have a finished page! Are you a digital scrapbooker? Layered Photoshop files are included! Go to Scrap Cuts 2 here! This little set includes a wrap for your teabags, embellishment pieces for your teabag wrap, and a sweet gift box with a window for your sentiment! To to Teabag Gift Set here! little gift for any occasion! I hope you are enjoying the Card Cuts as much as I am! This card cut even has a word window you can enclose your sentiment within! I love having some card designs ready to cut for any digital image. My card cuts always have windows to easily frame your digital images in without having to worry about how your edges are cut (if you print a digital you can just hand trim to fit in a window). Go to Card Cut 5 here! 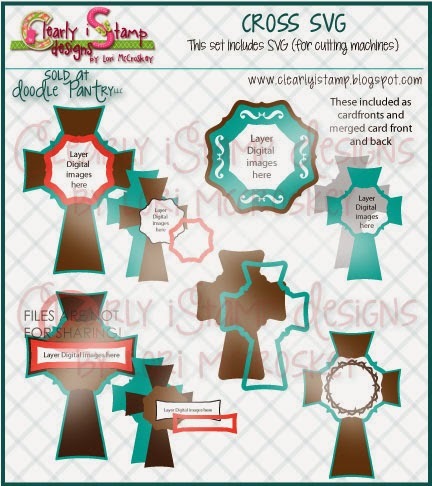 you can create a Cross shaped card for a novelty card! Go To Cross SVG Cut here! Go to Floral Cross Digital set here! 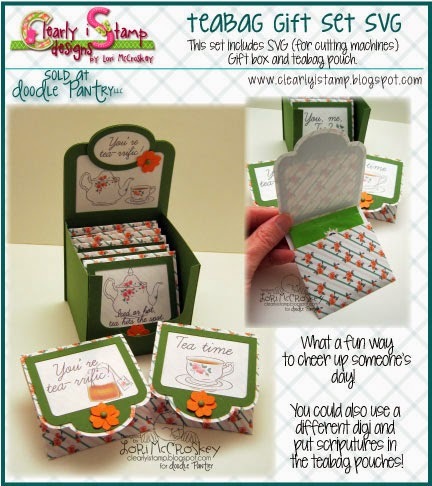 Don't forget to come back and comment each day for a chance to win all of my April 2014 SVG cuts! Have a wonderful blessed day! I love your new SVG files. That wagon is soo cute and I love the wagon images also. Wow! 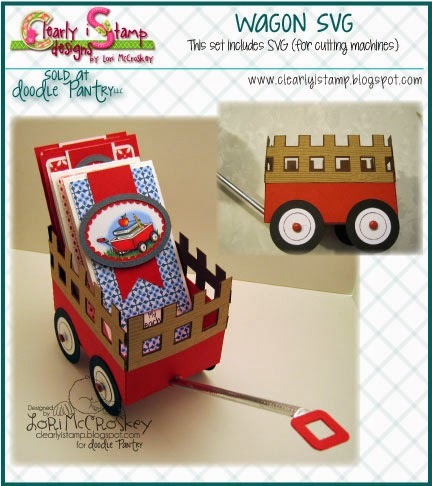 Another fab release Lori :-) Love, love the wagon and the layouts! Awesome release! 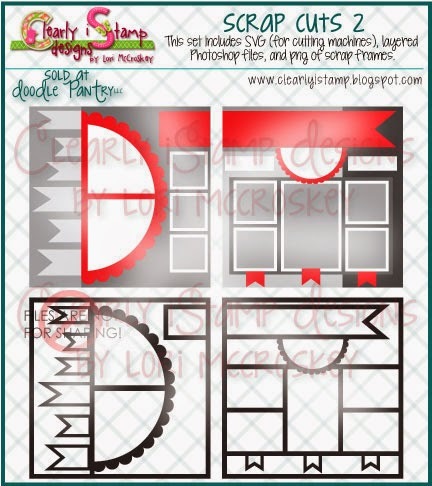 Very cute svg cuts and digital stamp sets! All of your releases are so wonderful! Card Cut 5 SVG - cards in a flash! Tea Bag Gift Set - or why not Scripture pouches?